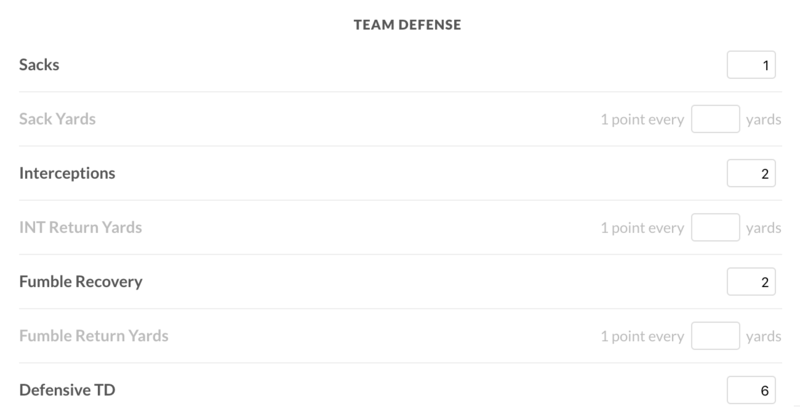 What is the standard way to set up defense and special teams points? You're here because there was a kick-off or punt return TD. It was probably Tyreek Hill. What a player. You are baffled. For some weird reason, Kansas City Defense, now has like...30 pts, when really they should only have 24. Basically, you're seeing double pts credited to the defensive team. You're the league commissioner and everyone is yelling at you to fix it. Here are the changes that you'll want to make to scoring settings. You'll want to set Defense > Defensive Touchdowns to 6. 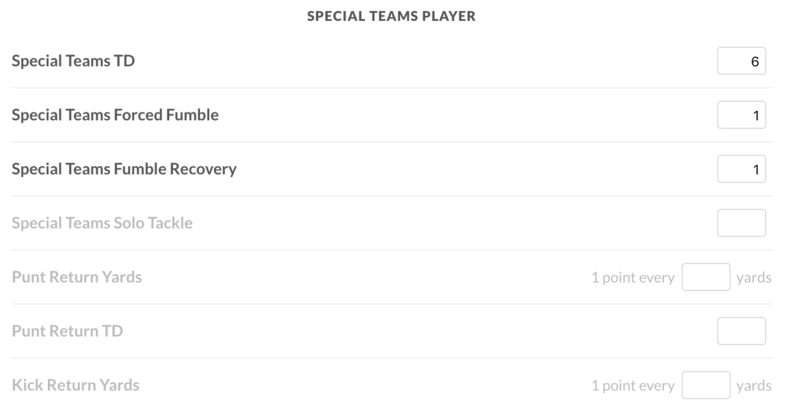 You'll want to set Special Teams Player > Special Teams Touchdowns to 6. 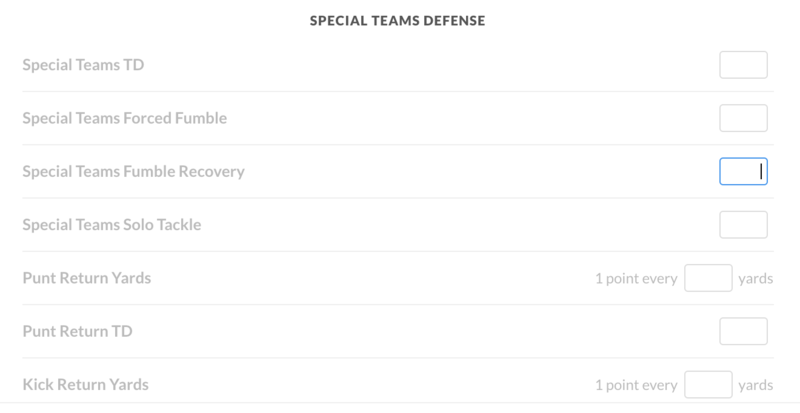 You'll want to set Special Teams Defense to all zeroes. It should look like the images below. We'll make some more changes for the 2019 season when creating a league, so that it's easier to understand.